The Infant Community offers a gentle introduction to social life beyond the family. 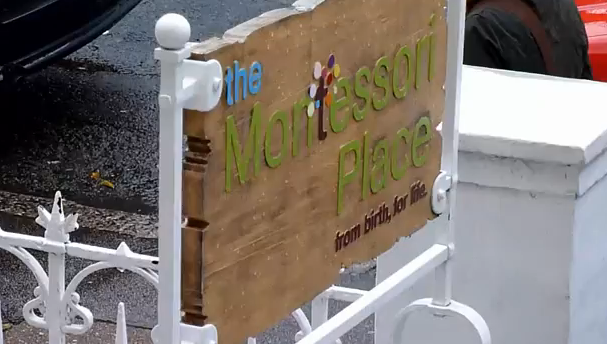 It is the primary entry point to The Montessori Place school. 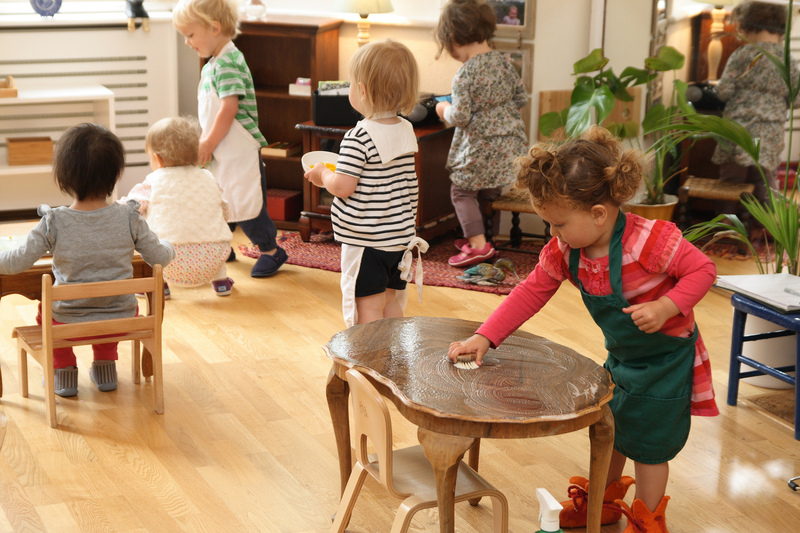 A small community of 12 children (age 15 months to just under 3 years) come together four mornings a week, collaborating in the everyday activities of life, building their skills and independence as they go. In the first years of life, your child is creating the fundamental elements of their personality and character, the mindset and attitudes they will carry with them into their adult life. In the Infant Community they will learn to make decisions, to persevere, gain self-discipline, experience success and consider the needs of others. These qualities are not taught, but emerge naturally within a community of children of mixed ages, alongside adults who combine love with knowledge of how children grow. The Hand-eye co-ordination area offers a range of activities from simple geometric puzzles to more complex activities such as sewing and gluing. These activities meet your little one’s need to gain control over their body, especially their hands, that most extraordinary dimension of being human. The Practical Life area is filled with the real activities of everyday life such as sweeping, snack preparation, caring for plants, dish washing, window cleaning and flower arranging. Independence in personal care is something all young children naturally strive for, and our environment is designed for them to grow in independence. The Language area includes objects and picture cards of their immediate and wider environment, as well as a selection of beautiful books. Language is is brought to life daily with songs, poems and stories. As with everything else, we are following the children’s interests, but also paying attention to the cultural context e.g. the different seasons and festivals. The Art area includes painting, working with chalk, crayon and clay; as well as an introduction to the world of music. At first glance the room looks like a beautiful home, shrunk to the size of a very young child. Framed pictures are low on a wall, door handles barely off the ground. Water is poured by tiny hands from a miniature jug into an even smaller glass. Nearby, one child may be helping another to dress, a little group may be singing together with an adult while someone else scrubs a table. The respect and trust given to the children in a constructive atmosphere is naturally reciprocated by little ones interested in what they are doing. And over time a group of little children becomes a community. Keeping the inner flame burning.